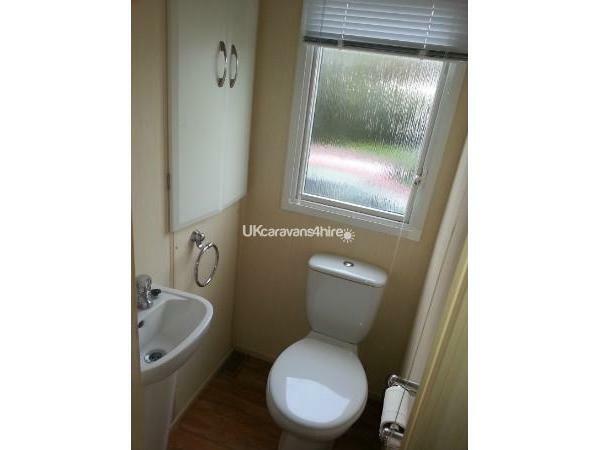 Additional Info: Our Prestige Modern Caravan has a separate WC/Washbasin, as well as a WC/ modern Shower Room. We have a 32 inch TV and DVD player in our lounge, and leave a selection of Dvds and family Games for you to use . Welcome pack of Tea, Coffee, Sugar and milk are left for incoming Guests. Cleaning equipment is supplied for guests use. Please enquire direct if you wish to book 3/4 Nights breaks on selected dates. 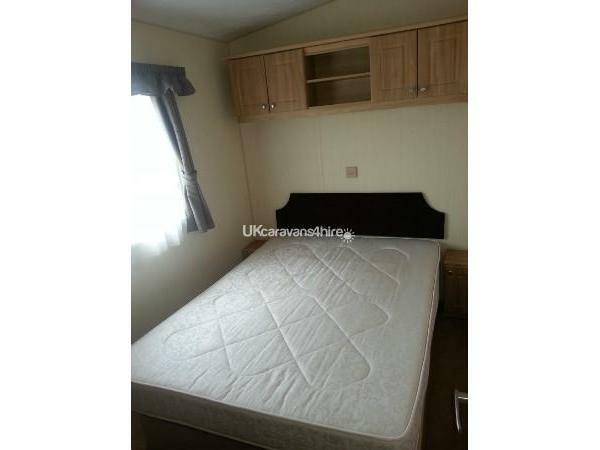 Privately owned Modern DG/CH family 6 berth Prestige graded caravan. 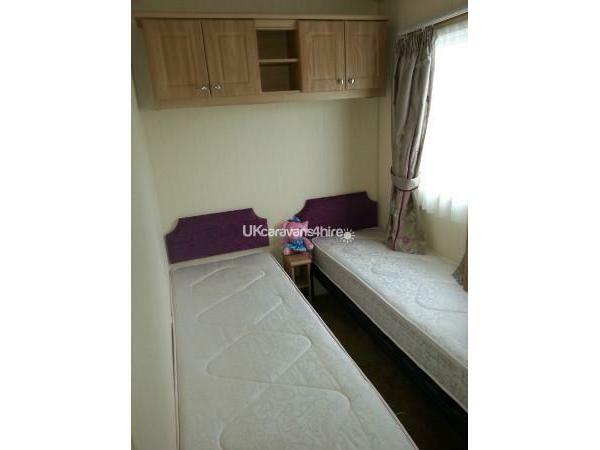 Home from home comfort, situated at Haven Church Farm Village, Pagham. The Park is surrounded by beautiful Nature walks and has a great lagoon on the park.Nearby attractions include City of Chichester, Arundel, Littlehampton, Brighton , Goodwood and Fontwell. Racecourses. Portsmouth with its great Tourist attraction Gun Wharf Keys, and Naval attractions. As well as many local Quieter Beaches nearby. Our caravan is situated on a quieter Gold Plot at Lagoon Close, which is approximately 3 minutes from the main complex, pools, sports area , entertainment and restaurant. Fresh clean Duvets and Pillows are supplied, you are welcome to either bring your own linen or request beds to be made up by ourselves at an extra cost. Other equipment such as cots, bed guards and highchairs etc can be hired at reception at a cost to yourselves. Passes for the entertainment and other sports are not included in our prices, these can be purchased from Church Farm reception on arrival, details of costs of these will be emailed to yourself via us on enquiry. Please phone or email for any required dates using the contact details shown above. Additional Info: Archery, Outdoor Sports Zone, Tennis coaching, Jump Zone Bike and Cart Hire Childrens Outside Play Area, Sports Field, Nature Reserve. Beautiful home from home my Aunt and I stayed in this lovely caravan as we needed extra accommodation we really enjoyed our stay albeit short. Owners couldn’t be more helpful from start to finish. 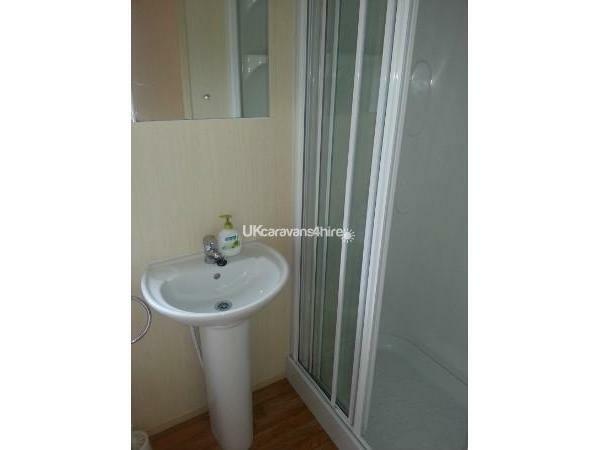 Lovely quiet location and not far from the shop and complex. 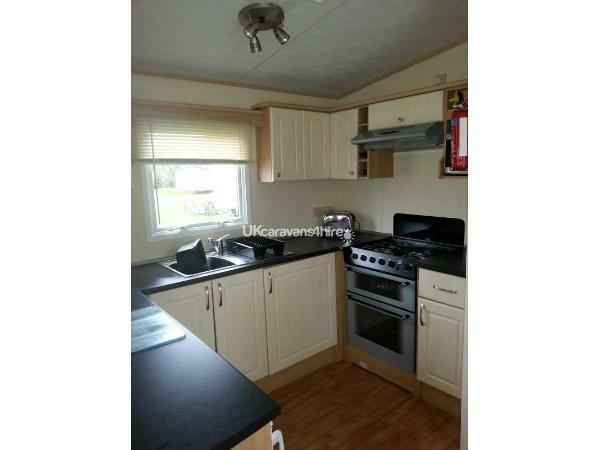 Caravan was to a very high standard clean and bright loved all the homely touches. Would definitely recommend and hope to book again if we need another place to stay. Thank you so much Sharon and David and your Daughter too who recommended the caravan to me. We spent 4 nights at Church Farm in this lovely caravan and couldn't have asked for a better break for our family. On arrival we found tea, coffee and sugar and also cleaning products which we are used to taking ourselves. The drawers were packed full of things to do for the children and we spent our first evening making use of the games having great fun playing twister. The heating was left on for us when we arrived which was an added bonus as it had been a long cold journey. We weren't in need of anything during our stay as the kitchen was full of everything. The location of the caravan was perfect as it's a close walk to the entertainment and a nice walk to the lagoon is not far for little legs to get to. 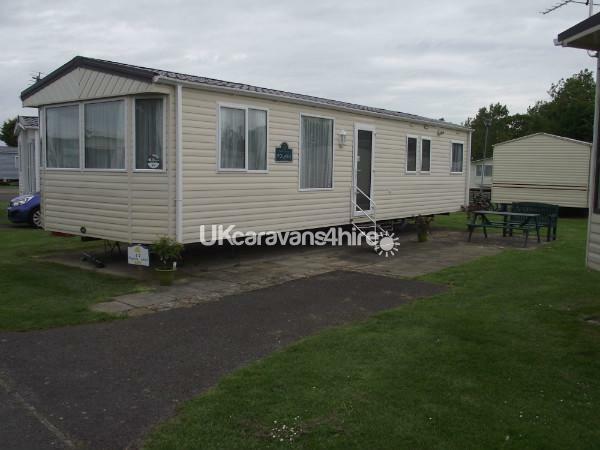 We would recommend this caravan and thank Sharon and David for great communication and a lovely stay. 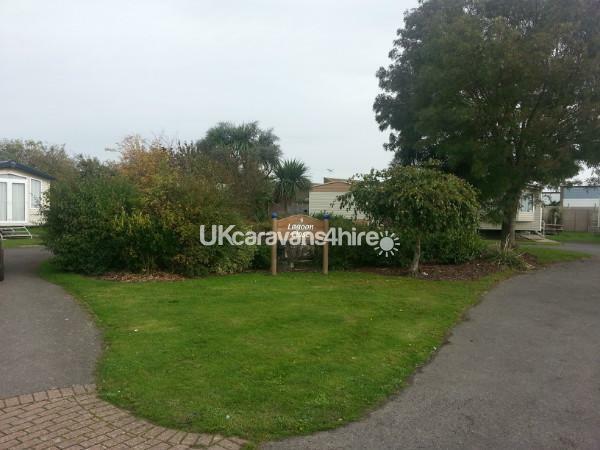 We had a fantastic time at this caravan, very well equipped, great location on the site close to the facilities in a lovely quiet plot with no noise from the main complex. Sharon and David were extremely helpful and the overall booking experience was effortless. We would definitely return. Thank you. Absolutely fantastic! Sharon and David are amazing people, personal touches everywhere to make your stay better. On hand to answer all questions. 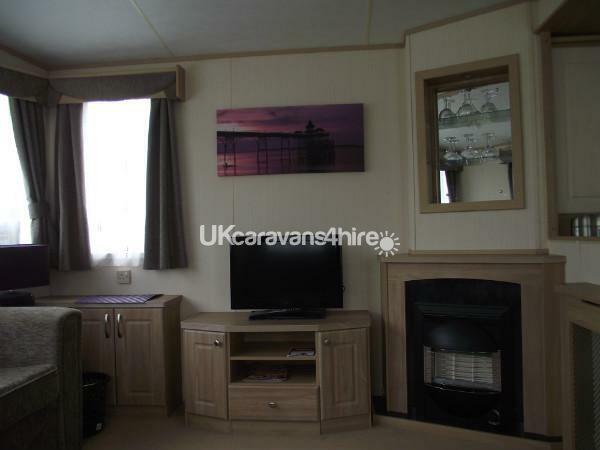 Caravan is spacious, extremely clean, even made the beds up for us for arrival which with 3 young children was a real help. Thank you for making our holiday as stress free as possible, we had a fabulous time and will definitely be coming again. Church farm is an amazing park too. Well what can I say,absolutely first class service from Sharon and David very friendly and professional with the booking process and making the arrangements for this holiday couldn't have been easier from start to finish. 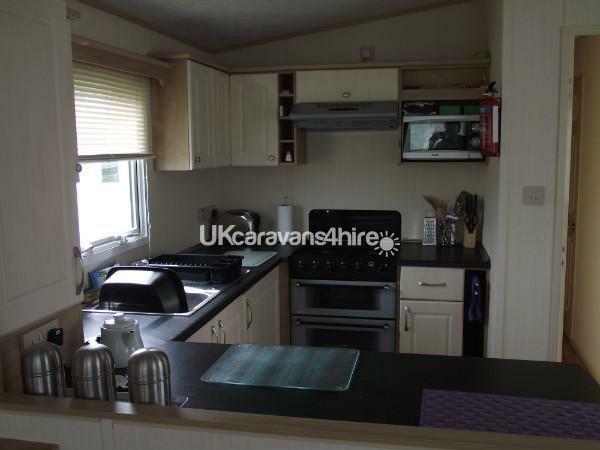 The Caravan was spotless and very comfortable and a real home from home we all loved it and will definitely recommend to family and friends. It was very close to all the facilities and the site was fantastic with plenty to do. Well done Sharon and David for making our holiday great. 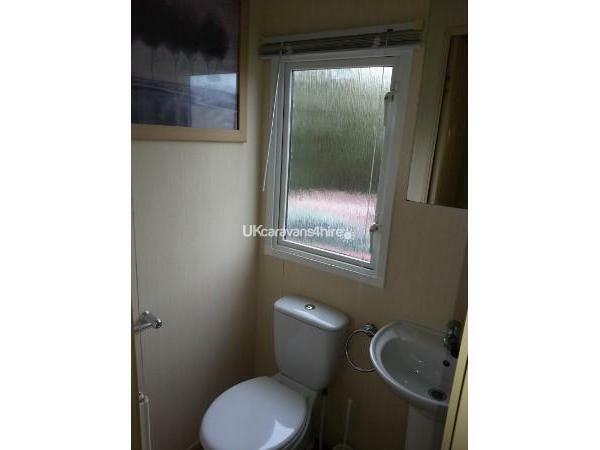 This caravan really is a home from home, with all of the modern conveniences which made our stay thoroughly enjoyable. The children made use of all the games which are kindly left. There was tea and coffee left for our arrival which was very handy after the journey to the site. 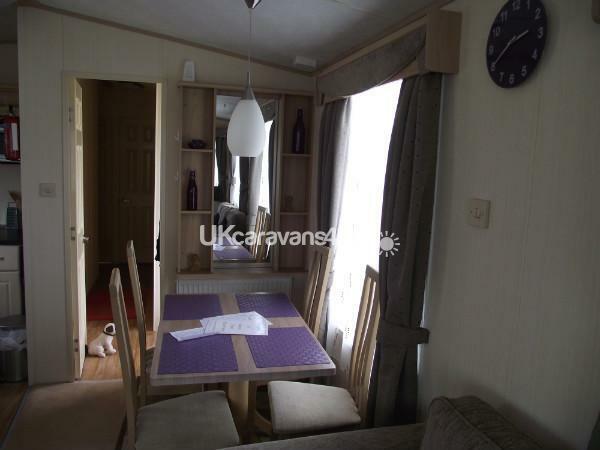 The caravan is in an excellent location on the site. Very easy to access all of the amenities, but there was no noise from the complex in the evening as just that bit away. The lagoon is a lovely place to take a walk and feed the ducks. The weather was very kind to us and we were fortunate enough to be able to spend our days in and around the outdoor swimming pool. The security around the whole complex is very comforting, especially with little children as there is only 1 exit out of the park/eating area so we could relax a little more than we usually can! 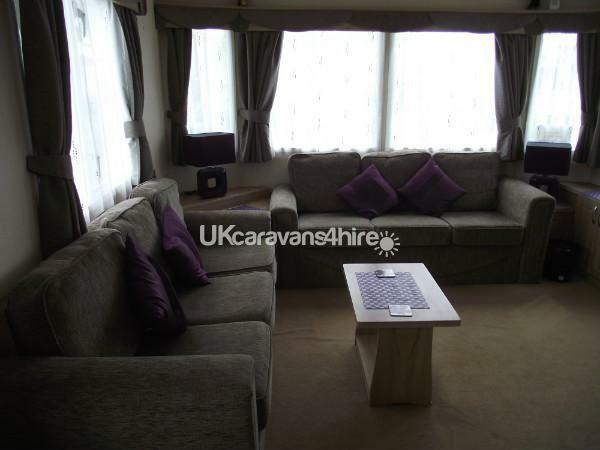 Fantastic caravan - couldnt fault it. Proper settees so really comfortable - plenty of space, 2 toilets, lovely decor with colour co-ordination, freezer, hoover which was wonderful as i hate trying to sweep a carpet with a dustpan and brush which is all you normally get! Heating if required. Welcome pack on arrival which was a really nice touch. Outside seating, parking for 2 cars and extremely near to the facilities - literally less than 1 minute walk. Location really nice and very quiet. Booking process extremely easy and Sharon very helpful. My security bond was returned promptly. I thoroughly recommend this and would definitely book again if we want to go to that area again. Thank you very much Sharon and David.